I’m mostly on vacation right now, but I couldn’t wait to review this book. (I say “mostly” because I drove back from Acadia National Park to work at the bookshop for two days, but I’m headed right back to the crashing waves and pine forests tonight.) I actually bought The Lobster Kings at Sherman’ bookshop, intending to read it on some windswept rock. That would have been terribly atmospheric and very fitting to the novel’s remote island setting. But Zentner’s writing was just too good, and the setting was too wonderful, so I failed to put the book on hold when I came home. 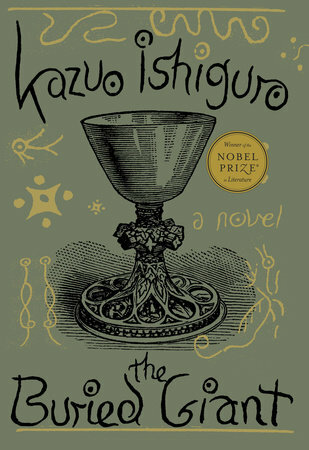 I read The Lobster Kings in two days, mentally transported to Loosewood Island the entire time. Even if I’d been reading on a crowded subway car, I would have felt the salt spray and heard thunderstorms somewhere in the distance. The Lobster Kings is set somewhere between Maine and Nova Scotia, on an island which falls through the cracks of jurisdiction and remains very much its own world. Cordelia Kings is a lobster boat captain, like her daddy, and all the Kings back to Brumfitt Kings. Brumfitt was a painter who turned the island into a home way back in the 18th century, and the inspiration behind his mythical works can be seen near every nook and cranny of Loosewood Island. His stories and images haunt Cordelia’s family, too. The Kings’ pasts and futures seem bound up in the legends he created: they are blessed with the sea’s bounty, but that blessing comes with a curse as well. Or so Cordelia’s Daddy says. Given her family’s history on the island — their immense successes and devastating tragedies — it’s not hard to see why she might believe the stories herself, sometimes. It’s not necessary to have read or seen King Lear, though, and when a parallel is extremely important the characters are good enough to discuss it plainly. The tragedy and exhilaration in this book springs from more personal wells than royal legacy and misspent loyalty, though both of those subjects come up again and again. This book focuses on family pride, on one woman’s intense desire to prove herself worthy of a name that has kept a whole community thriving for centuries. Cordelia is an excellent lobsterman and a strong main character. She loves her father and her sisters, and wants to do right by them as the eldest Kings child. If that means pushing herself on dangerous waters, or stating the hard truths no one else wants to acknowledge, then she’s prepared to do the work. I liked reading the story from Cordelia’s point of view, and thought that Alexi Zentner did a marvelous job of getting into a 30-something woman’s head and heart. She’s got a forceful will, but isn’t nearly so hardened a captain as she’d like Loosewood’s tight-knit community to believe. Between persistent romantic feelings for her married sternman Kenny, a strained sense of competition with her sisters, and the added tensions when hostile boats start encroaching on their territory from James Harbor on the mainland, Cordelia’s having trouble weathering all the storms inside of her. She’s an unapologetic narrator but has moments of uncertainty, especially when it comes to her father. He’s a loving parent and an inspiring figure on the island, but won’t back down or shed his pride, even against his daughters’ caution. He’s a Kings. He’s the father of Kings, and even the darkly ominous fates Brumfitt painted — fates which can seem like a warning to later generations — won’t keep him from giving every ounce of energy to Loosewood Island and and to his family. The family tension and the dramas within Loosewood’s community all affect Cordelia and keep her mind churning, until her own struggles start to resemble the tumultuous sea where she feels so at home. The Lobster Kings is a unique new novel with a wonderful descriptive voice. The Kings family, at the heart of the tale, seems truly real despite the Shakespearean bent to their lives and relationships. Loosewood Island could be a character in its own right, especially when we see it through the artistic viewpoint of Brumfitt Kings’ fictional legacy. I don’t know much about art or fishing, but Zentner writes with such vivid detail that I fell completely in love with each subject by the end. The mythical properties of the unforgiving sea, which makes up a huge part of the Kings family history, was mesmerizing to me. It may, however, get old too soon for readers who aren’t so keen on selkie stories and elemental curses. I don’t think those moments of unearthly imagery ever overshadowed the very human pulse which kept this story alive, though. 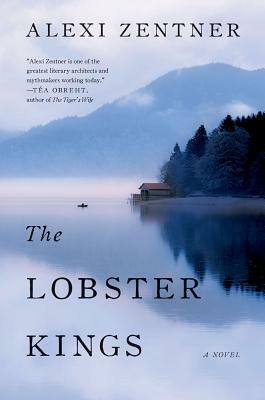 The sense of place never faltered, shining through the atmosphere and characters of The Lobster Kings on every page. Read it if you’re ever homesick for the sea, if you like stories about art and hard work, or if you love novels about close towns and complicated families. Don’t wait until it comes out in paperback, either. (And please buy from an independent store if you can!!) This book is too good to miss, and it’s hard to leave Loosewood Island once the story ends.